Can I Shave My Legs with an Electric Razor? What is The Best Men’s Electric Razor to Buy? 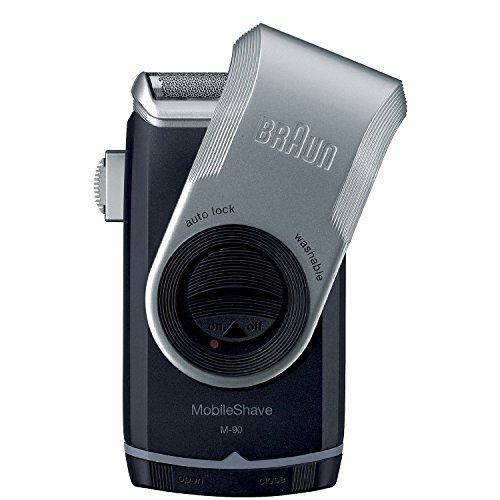 How to Avoid Razor Burn from an Electric Shaver (due to the heat of the device’s head)? What is The Best Electric Shaver for Women’s Legs Overall? Raise your hands up if y’all are guilty of using your man’s electric shaver. I know I am, but I’m glad I tried it anyway! I own a battery-operated lady shaver and one fateful day, I ran out of batteries. 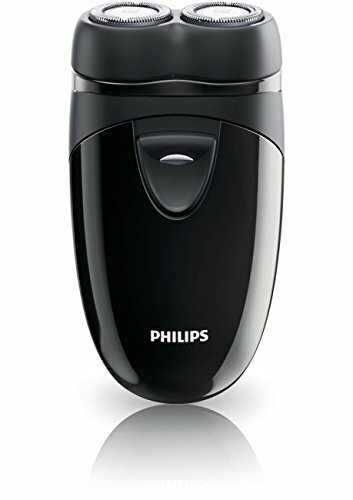 Conscious of leaving the house in a dress and cactus legs, I reached out for my man’s grooming holy grail… his Philips Norelco rotary electric shaver. Boy, did it not disappoint, it delivered! There’s such a big difference in results between his shaver and mine, that I decided to just toss my battery-operated shaver and order the same electric shaver as his. It’s the best men’s electric shaver for women’s legs in my book! Absolutely! As a matter of fact, there are lots of electric shavers in the market made for women. This means that electric shaving is a well-accepted and safe way of removing unwanted hair temporarily. But, can a woman use a man’s electric shaver? Yes, we can! Designed to efficiently remove men’s unruly and thick facial hair, their electric razor offers one thing that our version may not: A closer shave. Before I recommend the best product, it’s important to know that there are two types of men’s electric razors: Rotary and Foil. Shaving Habits – Do you religiously shave every day, or do you not have the time? Hair Type – Do you have fine or coarse hair? Skin Type – Do you have normal or sensitive skin? Rotary electric shavers are perfect for women with normal to tough skin and coarse hair who want their shave to last for at least a day (or two). This type of shaver adjusts to the contours of your legs and should be used in a circular motion, making it easier to shave difficult areas such as the knees. Meanwhile, Foil electric shavers are suitable for women with sensitive skin and fine hair who shave every day. The only downside of using this type of razor is that you can only shave in straight lines which makes it tricky to go over curves and difficult areas like your knees. So, what electric razor gives the closest shave? Definitely the rotary electric razor! Razor burns can be caused by choosing the wrong product, poor prep (prior to shaving), incorrect shaving technique and poor post shave treatment. Choose either the rotary or foil razor based on the considerations mentioned above. Both types come in either dry or wet/dry variants which plays a huge factor on the next point. Prepping your skin and your razor is an important step towards a successful shave. Let’s start with – are you supposed to use shaving cream with an electric razor? Wet and Wet/Dry shavers can be safely used with shaving foams and gels. While dry shavers can be used with a suitable pre-shave lotion or powder (never use it on damp or wet skin, electrocution is real folks!). Together with cleansing and exfoliation, these products are meant to prep your skin, create a layer of protection and make your razor glide smoother. As for your razor blades, ensure that they are well lubricated and clean. If needed, replace the blades. Use a light hand and the right strokes (depends on the razor type). Make sure to go against the grain of the hair and minimize the number of passes on that specific area. Wash your legs with cold water to remove any traces of foam, gel, powder, and lotion as well as to calm and close the pores. You may apply an aftershave balm or any light, fragrance-free lotion to soothe the skin. (I keep my baby lotion in the fridge for that added cooling effect). Avoid wearing tight-fitting clothes after you shave (tis’ the right time to flaunt those legs in a skirt, mama!). Excited to know which brands made it to my list of best men’s electric shaver for women’s legs? Check them out below! By the way, before we start… Do you know about a women’s electric shaver called Finish Touch Flawless Legs? If not, check out my honest full review here. This is the king of kings in the electric shaver world. Definitely the best men’s electric razor for shaving legs. This winner can be used wet or dry, has its own cleaning system that keeps the shaver charged and the blades clean and lubricated all day, every day. 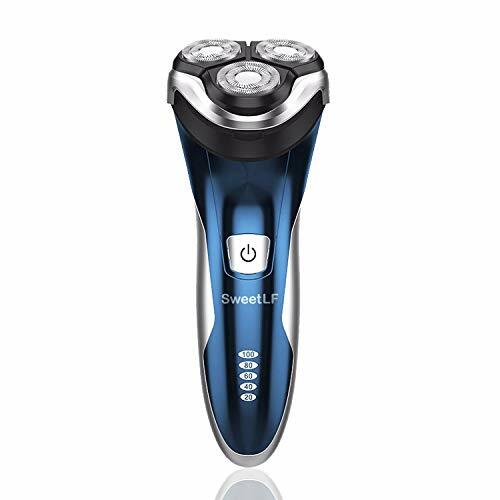 With 3 rotary heads that adjust to the contours of your legs, you can be sure you’ll get a consistently close shave from your feet to your thighs. Ahhh…smooth as a baby! 5-direction Flex Heads (that adjust to the grooves and curves of your legs). SmartClean system (cleans, lubricates and charges). Turbo mode helps you shave 10% faster. Cordless and can be used for 45 mins (fully charged). Led display indicator (shows when it’s time to charge). Takes an hour to fully charge (but can run on a 5-minute quick charge). The headache I got thinking about what I hate about it, I can’t think of anything major, actually! Lighter than other razors, this ergonomically designed shaver fits a woman’s hand perfectly. 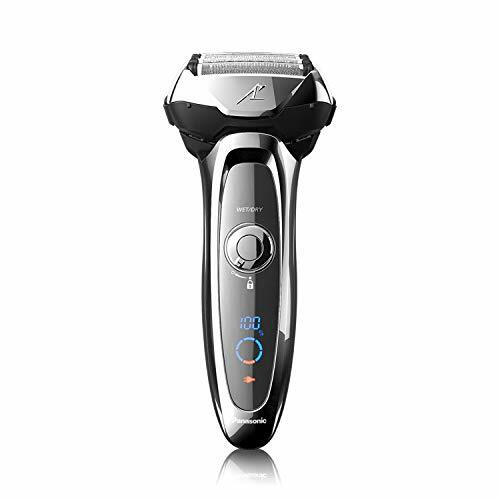 It’s packed with efficient rotary heads and shaving power that grabs and cuts hair effortlessly. With a price to beat, you surely won’t cry if your jealous husband/boyfriend steals this from you! Affordable and good value for its price. Cordless and can be used for an hour (fully charged). Rotary heads adjust to any angle. Has an anti-microbial additive to slow down bacterial growth. Comes with a pop-up trimmer (may not be for the legs but great for the bikini area). Charging time is 90 minutes (but can run on a 5-minute quick charge). With its awesome design you’d think this is a high-end product, you’re wrong! Sweet LF is affordable yet efficient and comfortable to use. And guess what? It also charges with a USB and is 100% waterproof! 3D floating rotator heads for a close and efficient shave. USB charging (you can charge it on your laptop, car, and power bank!). Clear LED display (shows 5 battery levels). Pop up trimmer (great for the bikini area or toe hair – I have those, don’t judge!). Needs to be cleaned manually. Expensive may not necessarily be the best. This amazing product delivers optimum results while giving you value for money. Hatteker men’s shaver is a trimmer and shaver in one. 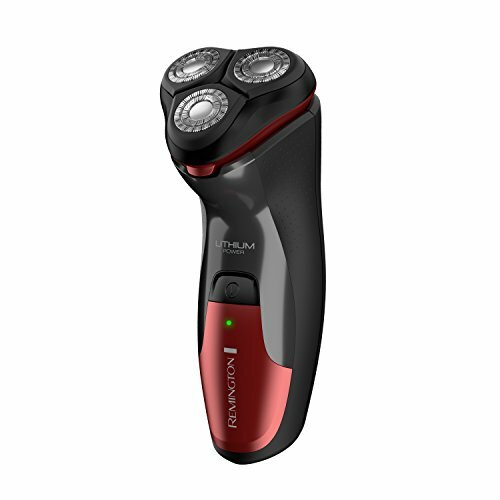 Its rotary shaver adapts to the curves of your skin giving you consistently smooth skin all over. If you’re trying electric razors for the first time or just need something to take with you when traveling, this is a perfect choice! Amazing LCD display (shows battery level and cleaning indicator). Needs to be manually cleaned. This Norelco line really got me hooked. So much that I wanted a version that I can take with me while traveling. 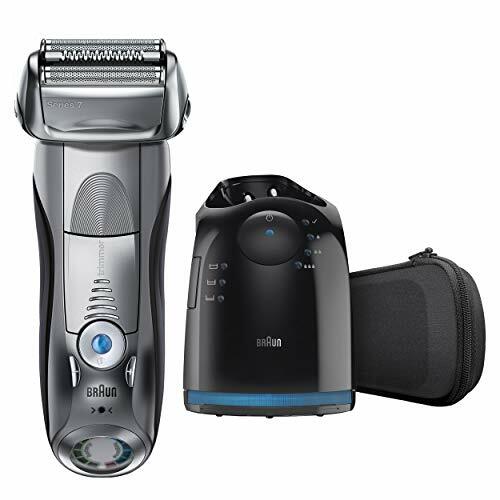 With 2 separate floating rotary heads that hug and contour your legs, you can get the same silky smooth close shave that its big brother can offer sans the charging/cleaning station. Fast and effective shaving wherever you may go! Compact size perfect for traveling. 2 rotary heads that won’t miss a spot. Battery operated (uses 2 AA batteries and can last an hour of shaving). Has a good ergonomic grip. Can only be used dry. This German-made razor works like magic on all types of hair, thanks to its powerful cutting system. Its 5 different modes give you the freedom to choose the shaving power that matches your skin and hair (perfect for people with sensitive skin), while the shearing system adjusts to the contours of your legs. You’ll get wonderfully close shave even on straight strokes! Nearly quiet (no loud buzzing sound). Great for sensitive skin (has different modes plus a skin guard). Clean & charge station (lubricates and charges the shaver). Cordless and can be used for 50 mins (fully charged). Takes 50 minutes to fully charge. Replacement foils are hard to find. Like your dream man, this handsome shaver has got everything you’re looking for. Not only is it aesthetically pleasing, but it also adjusts to your skin and hair type with 5 blades that offer an extremely close shave while being gentle to your skin. Shave Sensor technology detects hair type for a more even shave. 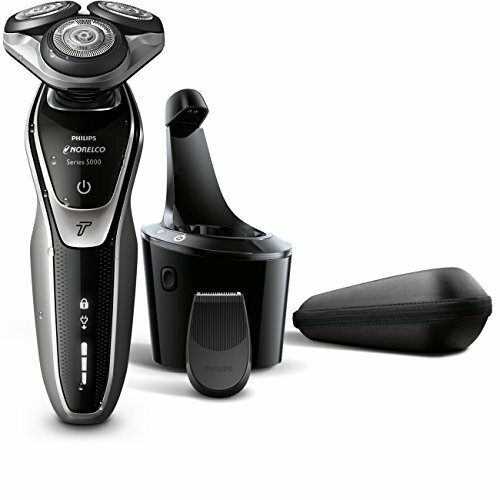 Offers superb close shave with its 5 multi-flex razor blades. Shaving head is quite big and takes a bit of getting used to. Replacement foils and blades are expensive. From a prestigious brand of salon quality products, Wahl 7061-100 is sure to stand the test of time (and of life!). It’s high impact, shockproof, dual foil technology can be used either wet or dry. Its battery can run for 90 minutes while others can only do 45 minutes or less. The price? Totally within your reach! Cordless and can be used for 90 minutes. Shockproof housing and travel lock feature (to avoid accidentally turning on the shaver). Flex Foils move to adapt to your curves. Charging time is 60 minutes (but can run on a 5-minute quick charge). LED display only shows that the shaver is charging and not the amount of battery left. Traveling over the weekend? No worries because you can take this baby with you! 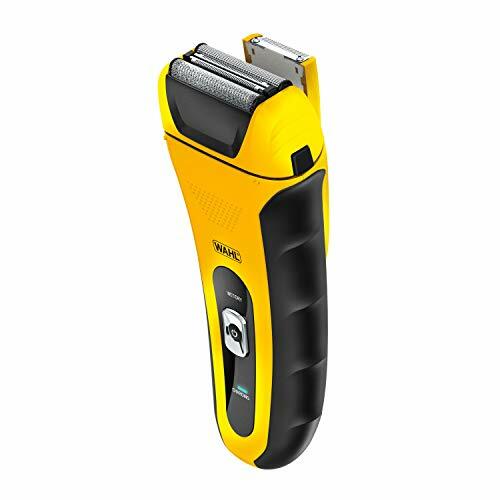 The M90 shaver is battery operated and compact which can fit perfectly inside your carry-on bag. But don’t be fooled by its size, it packs on shaving power and can be used wet/dry. Instant smoothness anywhere at any time! Compact size – perfect for traveling. Detachable foil and cutter (for easy cleaning). Grabs tiny hairs efficiently with self-sharpening blades. Only has one foil and razor, so shaving takes a bit more time. Men’s electric shavers are the quickest and easiest way to get a clean, close shave (say hello to smooth legs in less than 5 minutes!). You have to remember though that the success of a product does not only rely on the product itself. You can buy the latest and most expensive electric shaver, but if the product doesn’t suit your skin/hair type or if you have poor pre/post shave care and the wrong techniques, the product won’t do its job. 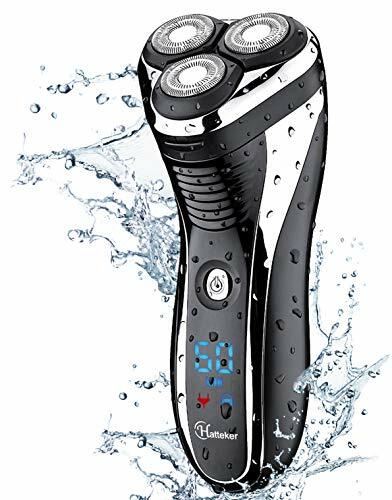 The products above are great for newbies and electric shaver veterans who are scouting for the next best men’s electric shaver for women’s legs. I hope you’ll give them a try and let me know which one worked for you! Hope to hear from you ladies. Talk to you soon!